Hi all, this is another weekly update the book blog tour of my YA fantasy romance novel, A Season Of Transformation. It kicked off at the start of June and it has been a lot of fun! Stop by my author page to see what I have been up to. really got to know the characters and it was fun seeing them grow and change. book it is resolved a bit, which made me happy. Kaitlyn also interviewed me about books, special powers and desert islands! Check it out HERE. My next stop was over at Nyx Book Reviews, where Celine has posted a book excerpt, from chapter 3 of A Season Of Transformation and is also hosting an eBook giveaway. Finally, Bree @ The Awesome Magic Attic is also hosting an eBook giveaway. Bree previously posted a review of A Season Of Transformation and rated it 3.5/ 5! 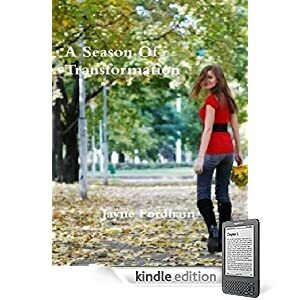 To win one of two signed copies of A Season Of Transformation please SUBSCRIBE via email or RSS to The Australian Bookshelf and/ or JayneFordham.com. Two winners will be drawn (one from each blog) after July 31st using random.org. This is an INTERNATIONAL giveaway. Subscribe to both to increase your chances! Join me on my tour and support an Australian indie author.